Both Google and Apple provide bestseller lists, sorted by various criteria. Everyone loves learning about new apps, and bloggers frequently share lists of their personal favorites. But which apps are actually the most popular? For this, you can go directly to the app stores themselves, and peruse their lists. The Apple iTunes store publishes two charts: one for free apps, and the other for paid apps. Google Android, on the other hand, publishes six charts: Top Free, Top Paid, Top Grossing, Top Free in Games, Top Paid in Games, and Top Grossing in Games. Feldman, Barbara. 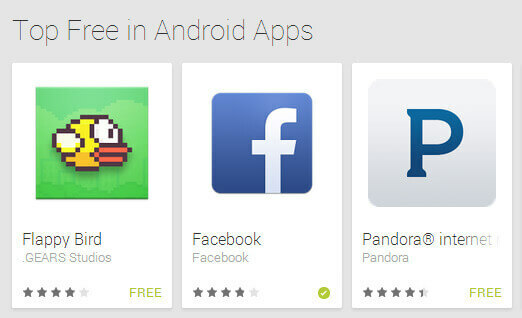 "Bestselling Free and Paid Apps." Surfnetkids. Feldman Publishing. 4 Feb. 2014. Web. 21 Apr. 2019. <https://www.surfnetkids.com/tech/2587/bestselling-free-paid-apps/ >. By Barbara J. Feldman. Originally published February 4, 2014. Last modified February 20, 2014.